How to get to Suroosh Hall? Thomas Langer (acoustic & electric guitar), Stephanie Wagner (flute), Ralf Cetto (bass) A trio that makes you curious because of its unusual cast. Wagner (fl), Langer (git) and Cetto (b) use their ideas for their own and heartwarming songs for the drummless trio, almost chamber like and in an original way. All three musicians contribute compositions and use the sonic freedom that this special trio setup offers you. The lack of a percussion instrument gives the instruments more space, the overall sound is very warm and floating, yet full of driving rhythm. Breathtaking unison passages stand next to wide, creative sound spaces, which give every musician space to unfold. Latin American lightness alongside odd meters and funky grooves - and no drums. A wonderful mix of virtuosity and melody. Joost lijbaart (drums & percussion), Bram stadhouders (guitar & electronics), Sanne rambags (lyrics & vocals) The trio met in 2015 as an initiative of the Dutch foundation Beaux Jazz.  This foundation offers young talents artistic support. For this first edition of ‘Generation Next’, the young singer Sanne Rambags come up with an adventurous group together with guitarist Bram Stadhouders and drummer Joost Lijbaart. Their debut album was released in March 2017 on the Dutch label Challenge Records and got great reviews. The universal language in their music brought the group to major festivals in Mali, Mexico, China, Norway, India and the Netherlands. Under the Surface is a unique trio of three musicians from different generations who have found each other in a common urge to search for space and silence through improvisation. Léo JEANNET (trumpet, bugle), Alexis Bajot-Nercessian (piano, composer), Pierre Demange (Drums), Hugo RIVIERE (Double bass) Finalist in the 2018 Défense Jazz Festival, LOWN nurtures a blended atmospheric universe that draws from funk, cinematic punk and the East. Anchored on compositions by pianist Alexis Bajot-Nercessian, the four companions weave music that is free yet structured. LOWN is the written creation of blends. Bold multiple rhythms, classical influences, syncopated funk, fragments of melodies from the East, pop cinematic harmonies reminiscent of jazz mornings. LOWN plays with contrast and leads us into the unknown. Anna Lang (cello), Alois Eberl (trombone, accordion) Sinfonia De Carnaval – comprised of Anna Lang and Alois Eberl on the cello, trombone, accordion, electronics, percussion and vocals. Inspired by the expressive tonal discours of Jazz and using different elements of Classical music, Rock and Funk, the duo creates a sonic universe out of the whole soundspectrum of their instruments, which is sometimes also mixed with electronic sounds. They were nominated for the BAWAG P.S.K. Next Generation Award 2015 and were chosen as one of the five best bands in the Jazz Category for the “New Austrian Sound of Music Programm 2018/19” by the Austrian Federal Ministry. Sinfonia De Carnaval are guests in Switzerland, England, Iran, Kasachstan, Croatia, France, Israel, Palestine and Germany. Florian Favre (piano and composition), Manu Hagmann (double bass), Noé Tavelli (drums) Musical democracy. What may sound unspectacular on paper becomes highly sophisticated when performed and heard live. With their concept of equal rights for all instruments, Florian Favre Trio are following an unconventional track. The fact that the three musicians have known each other since their days at the Bern University of the Arts contributes to the ease of the musical flow and helps explain the equal status granted to each individual is input. Since 2011, Florian Favre (piano and composition), Manu Hagmann (bass) and Noé Tavelli (percussion) have been fusing their jazz with classical and electronic influences, opening up enticing new perspectives for the genre. After «T’inquiète pas, ça va aller» in 2013, they released «Ur» in 2016 and «on a smiling gust of wind » in 2018 under the prestigious germand label Traumton Records. Taalai Beisheev (Aura group leader, composer, keys), Boris Bessonov (bass guitar), Murat Sagymbaev (electric guitar), Aizar Kasymov (perkashn, vocals, oz komuz, chopo choor), Zhamaldin Kaparov (drums) Aura was established in 1999 at the U.A. Umuraliev City Drama Theater.The leader of Aura is the pianist and composer Taalai Beisheev. In its work, Aura often refers to the rich ethnic and musical heritage of the Kyrgyz people, to the modern synthesis of the original sound of ethno-melos, and the art of improvisation. 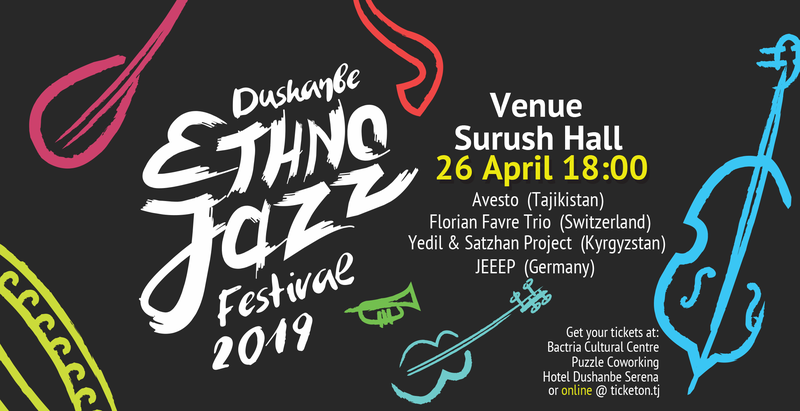 Akhmetov Ulanbek (bass guitar), Umirzakova Gaukhar (vocals), Akhmedzhanov Marat (drums), Shamenov Satzhan (keys), Khusainov Edil (ethnic instruments and throat singing) The style of the group can be characterized as ethno-jazz. The band members are mature, successful and famous musicians of Kazakhstan! We perceive our participation at the VI International Festival in Dushanbe considered as recognition of the team, which can adequately represent the professional level of the music of our Country. In Kazakhstan, we are one of the first bands that works in the style of fusion, art-rock and ethno-jazz. Such music will always be in demand, as indicated by the diversity of festivals that take place in many countries of the world. Folk music performed on traditional instruments in a combination of modern arrangement and new trends and styles reflects the spirit of the times and the new era! Ulukbek Salikhov (piano, keyboards), Rinat Teregulov (leader tenor saxophone), Ziyadulla Abdullaev (percussion instruments), Ramil Isanbayev (bass, Islam Khakimjanov – violin). The team was established in 2005. The original name is 'Caravan'. The current name, since 2012, is 'Grandpa-Jazz'. The group holds concerts at numerous venues in Uzbekistan, Kazakhstan and Russia. They are also honorary members of the Tashkent Jazz Club named after A. Gilev. In addition to concert activities, the participants are involved in the popularization of jazz, teaching, etc. Their main direction is traditional jazz, bi-bop, ethno jazz, etc. The musical career of the group 'Avesto' is developing rapidly, with increasing success and has an estimated history of more than 20 years. During the years of its creative activity, Avesto has been awarded numerous prizes and international awards. Avesto musicians share their work at concert venues around the world, and take part in major international festivals. Today, the band's musical material amounts to seven published albums. The band’s debut album, released by the recording company 'Double Moon Records' (Germany) brought success and popularity to the band. Thanks to that Avesto's music is known and appreciated in the countries of the European Union and Asia. Avesto has deservedly secured the status of one of the best bands in Central Asia working in the field of fusion jazz music. Ghiyosiddin Juraev (dutor), Shavkat Okilov (ghijjak), Djonibek Sattorov (ud), Sherzod Abdukahhorov (rubob), Sattor Abdughani (doira), Ubaydullo Ibrohimzoda (piano, keyboard), Mukhammad Juraev (bass guitar), Sherali Khazratkulov (nai). Created as music laboratory by Sirojiddin Juraev in 2016 to arrange and perform fusion music pieces based on traditional and Eastern classical music and composed works by Tajik artists including Sirojiddin Juraev himself, Navo-i Ajam is a collective of young musicians from Tajikistan sharing interest for contemporary genres including jazz. Member of State “Shashmaqom” Ensemble and teacher at the Tajik National Conservatory, dutar and tanbur/sato player Sirojiddin Juraev is also a master teacher of Hunar traditional music centre, performing musician and author of Aga Khan Music Initiative AKMI masters ensemble. He gathered some of AKMI graduates and other outstanding musicians under the hospitable roof of Dushanbe Philharmonics. Among Navo-i Ajam members, Dushanbe jazz enthusiast would notice the very frequent guests of jazz concerts and Festivals in Dushanbe and elsewhere such as talented pianist and keyboard player Ubaydullo Ibrohimzoda, electric bass player Mukhammad Juraev, versatile rubab player Sherzod Abdukahhorov, Shavkat Okilov on dijjak, Sherali Hazratkulov on nai, Jonibek Sattorov on oud, doira player Sattor Abdughani and Sirojiddin’s son Ghiyosiddin Juraev on dutar. Jasur Khalilov (composer, piano), Jafar Khalilov (bass guitar), Timur Nurlobekov (percussion, folk instruments daf, tablak, tabla) and for the first time there will be a joint performance of the epos 'Gurugli' - narrators Azizbek Ziyoev, Khakimov Hotham Trio 'Khalil brothers' was formed in 2016, consists of the leading musicians of the Republic of Tajikistan. The music performed by the Khalil brothers trio is a combination of classical and jazz music, with the interweaving of the rich heritage of oriental folklore, as well as the author's compositions of the trio, framed by magic chamber sound. The Khalil brothers trio successfully performed at 16th International Jazz Festival in Almaty, Kazakhstan 2017, at the 5th International Ethno-Jazz Festival in Dushanbe 2017, International Jazz Festival in Bishkek 2019, and a number of concerts in jazz clubs of Germany 2018. Samandar Pulodov (author of songs and melodies, lead singer and acoustic guitar), Iqbol Zavqibekov (artistic director, multi-instrumentalist, pamiri setor, buzuk, mandolin and solo guitar), Davlatyor Gulomaydarov (rhythm guitar, back vocal), Zarif Pulatov (percussionist, dull, costanedos, tabla, daf etc. ), Rasul Qurbonmamadov (bus guitar, back vocal) 'Silk Routes Quintet' was established in 2016 in the recording studio of 'Gurminj' Museum of music instruments in Dushanbe, Tajikistan. The initiators of this group are Samandar Pulodov - musician, composer, singer and art manager - and Iqbol Zavkibekov - Museum’s director, composer, producer and multi-instrumentalist. This Project aims to bring ethnic fusion music from Tajikistan to international scene. It is a research of graceful balance between natural harmony of Pamiri folk music and the original sounds, compositions and arrangements. “Silk Routes” highlights connections between Ismaili traditions of Tajik Badakhshan and other mystical practices in music, using such instruments as setor, ney and rubab getting inspiration from outstanding Persian poetry written by thinkers and mystics such as Mavlono Jaloliddini Rumi. Master classes and creative meetings with musicians of festival will be held at the Sattorov Tajik National Conservatory (small hall). The Swiss Cooperation Office, as the main initiator and donor, together with its partners Bactria Cultural Center and the Tajik National Conservatory, have successfully held jazz festivals for several years (2009, ‘10, ‘12, ‘14 and ‘17). The festival brings together jazz composers and musicians from different parts of the world (Central Asia, Europe, America, etc.) 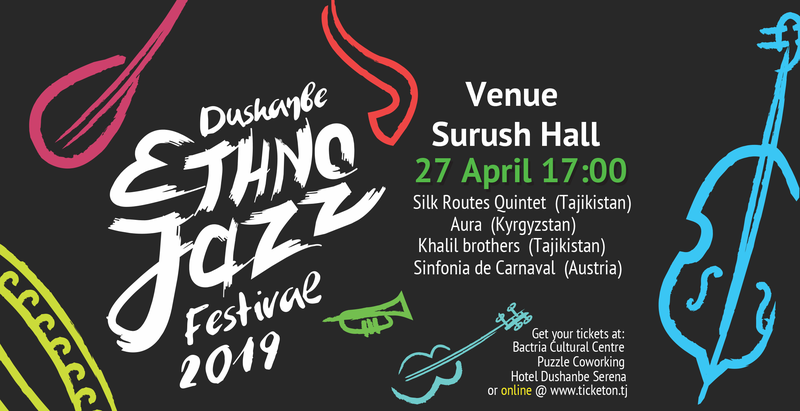 to hold concerts, round tables, master classes and art laboratories that contribute to the outbreak of a new wave of interest in ethno-jazz music in the Republic of Tajikistan. One of the main objectives of this festival is to encourage musical experimentation and the development of genres based on traditional Tajik music. Musical experiments combining various styles are particularly successful. Local musicians, like their foreign counterparts, are given a unique opportunity to create an incomparable musical composition based on traditional Tajik music genres such as Makom and Falak. One of the main achievements of the Festival is the creation of new musical groups that play a unique mix of ethno-jazz. These are such groups as Daj (Dushanbe) and Payvand (Khujand). 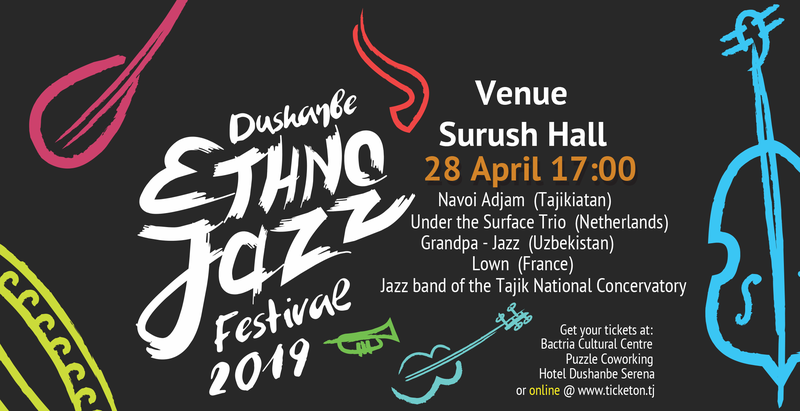 These groups are a vivid illustration of the potential impact of the Jazz Festival on the development of the entire music industry in the Republic of Tajikistan. Разработка сайта: Творческая мастерская "Точка"